Since I’m a website tester, people ask me for advice from ‘the other side’ … the angle of the person who sees the good and the bad. They wonder if links are a positive or a negative for their pages. Well … this depends on the reliability of the links. Links are great … when they work! You may have noticed I use very few URLs (links) on my pages. I stay pretty basic, although I may occasionally send you to another location on my site. In the long run ‘basic’ is worth it. For one thing, having a low-complaint site pays off. Plus, I’m not sending people away from my content. I click each URL to ensure it goes where it’s supposed to. The biggest problems I find? The ‘… where it’s supposed to’ part. Those little ones and zeros are doing what they’re told. They don’t have minds of their own (though sometimes it feels like it, doesn’t it?). But, let’s say a link ‘freezes’ a computer or goes to the wrong location. Your tester spends extra time (= extra $) chasing down the problem. Check your URLs before testing begins. This helps keep your project scope and budget on target. Test off-site using a different computer on another server. Your network’s server has seen these links, before. Ensure a new-to-the-links server sees them, too. When I test for clients, I follow the rules I just gave you. I work from outside the company, testing on my computer. And lo, sometimes there is an outcry in the land … er … behind the oak desk. The customers are outside the company. Let’s ensure they can step through the electronic door from their locations. Your Takeaway: Think carefully about the complexity of your site, keeping it as uncluttered as possible when it comes to adding links. Note: Contact me for a quick, inexpensive look at your site and links. • Do you have a link-from-Hell story to share? 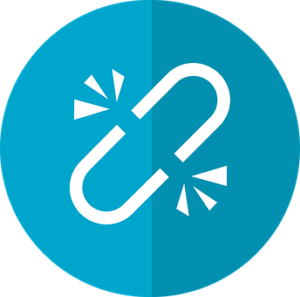 • A rule on the types of links you use (or won’t use) on a client’s site? • What’s the most impressive use of URLs you’ve seen? Whether you’re a developer or user, leave your ideas and insights in the comments section, below.